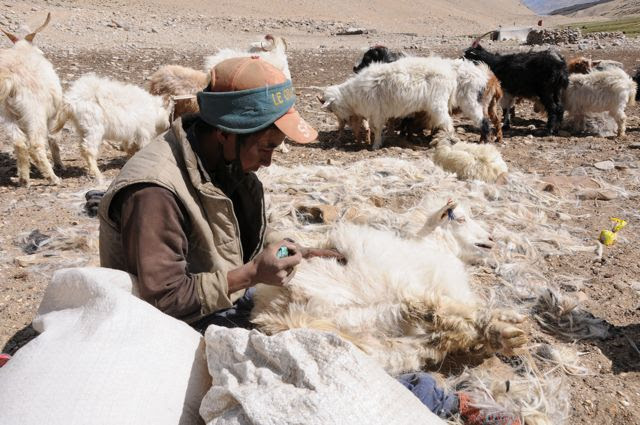 Harvested in high altitude, Pashmina is the most noble cashmere variety, the oldest and the most luxurious. It is derived from the Changra goat's light winter undercoat. It is the finest and softest in the neck and stomach area. This down of "pashm" is a kind of hyper cashmere that the goat only produces in extreme conditions, that is to say beyond 4500 m altitude. It is therefore collected on the foothills of the Himalayas, especially in Ladakh. 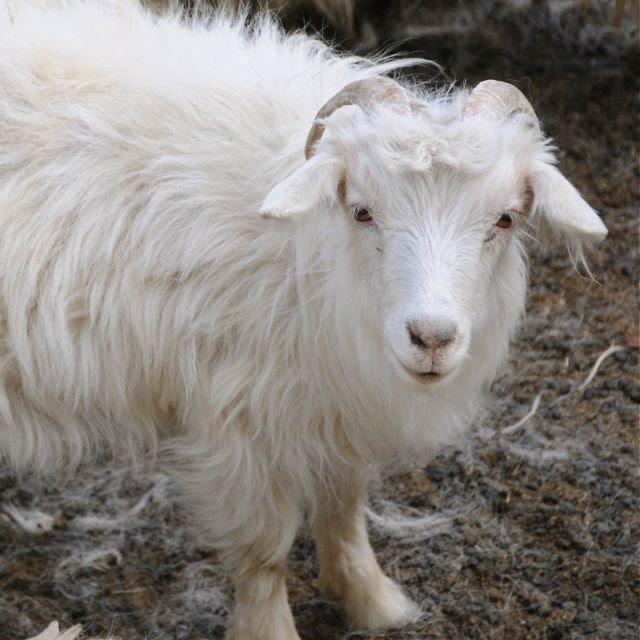 One goat produces about 150g of pashmina per year. In the spring when it loses its winter fur, it is combed in order to gather the fine silkier hair which is longer and of high quality. While a cashmere fiber has a diameter less than 19 microns, pashmina is thinner : less than 15 microns. However, it is interesting to note that this definition, according the tradition, has no legal value. Indeed, the pashmina fiber, contrary to cashmere, is not labelled. The word pashmina comes from the Persian word "pashmînah" which means woolen from the "pashm", the Changra goat's down. 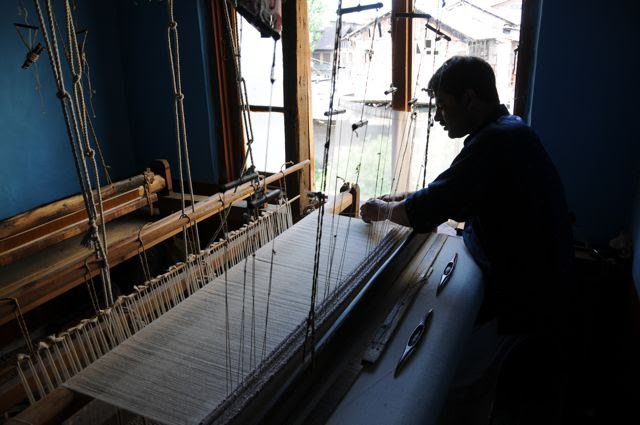 The Kashmir Valley population was famous for weaving shawls. 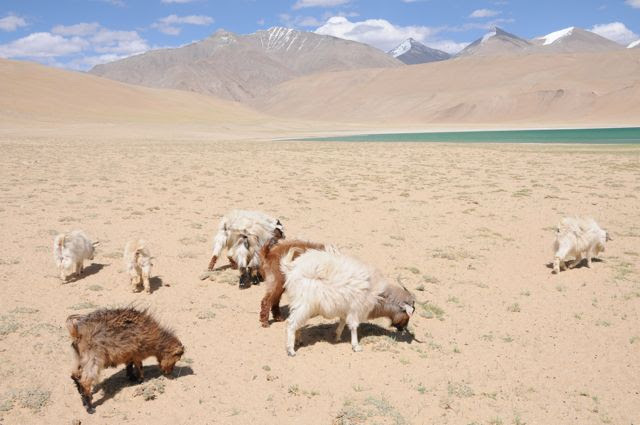 The wool came from the winter fleece of goats in Central Asia and the Himalayas, who lived more than 4500 meters above sea level.Since antiquity cashmere wool is one of the biggest luxury goods transported by road to the Roman Empire. 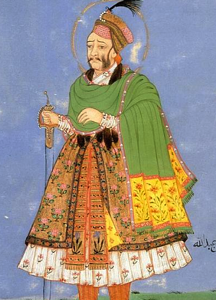 This industry soared in the 16th century during the reign of the Mughal Emperor Akbar which gave him the status of royal patronage, favoring a highly qualitative development.Mostly worn by men, pashmina shawls where once a privilege and only worn by kings. In the 18th century Kashmir exported shawls to Europe, first in England and then in France after the Napoleonic campaigns. 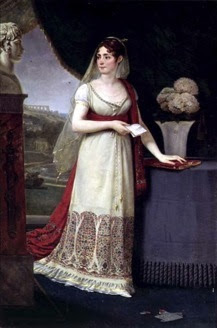 Being a great partner, Empress Josephine then started to campaign for the fashionable Kashmir shawl, which then saw an undeniably huge craze throughout the century. Being very expensive, it was a symbol of social distinction and a centerpiece of bridal outfits. It was heavy and richly embroidered. 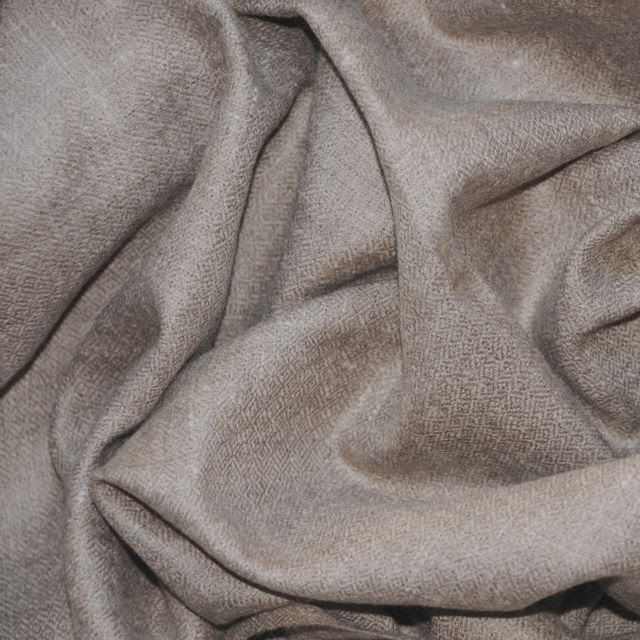 Historically this "diamond" wool is synonymous with luxury. 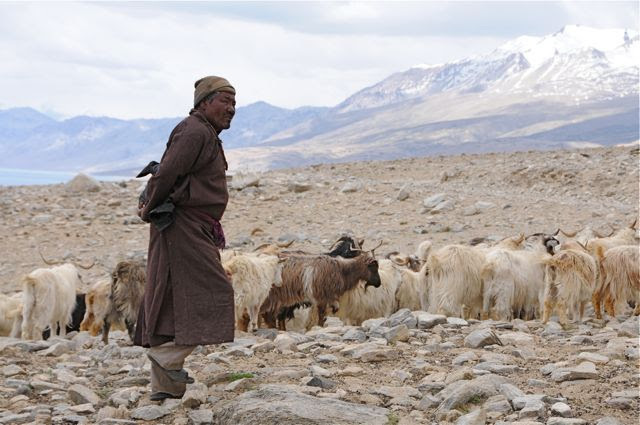 To withstand the frigid temperatures of the Himalayan winter which can reach -50°C, the pashmina goats develop an inner fleece as a downy and doubling their usual coat thickness. It is harvested in the spring by brushing the animals to collect the softer and longer hair, the finest ranging from the lower part of the neck and stomach. 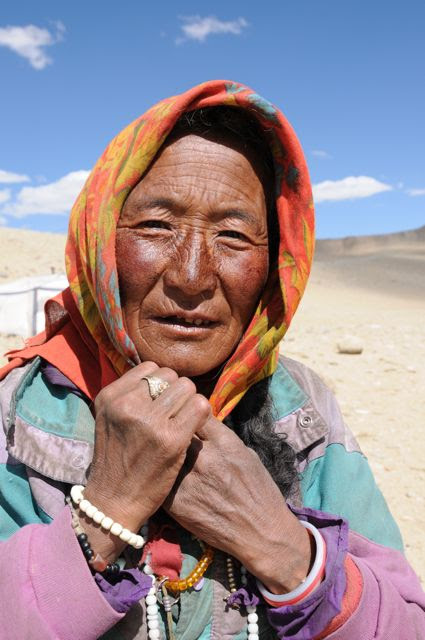 This pashmina fur is the main source of income for nomadic herders Chang Pa and perpetuates the traditional way of life at 4600m high, in the highlands of Ladakh, on the border of Tibet. 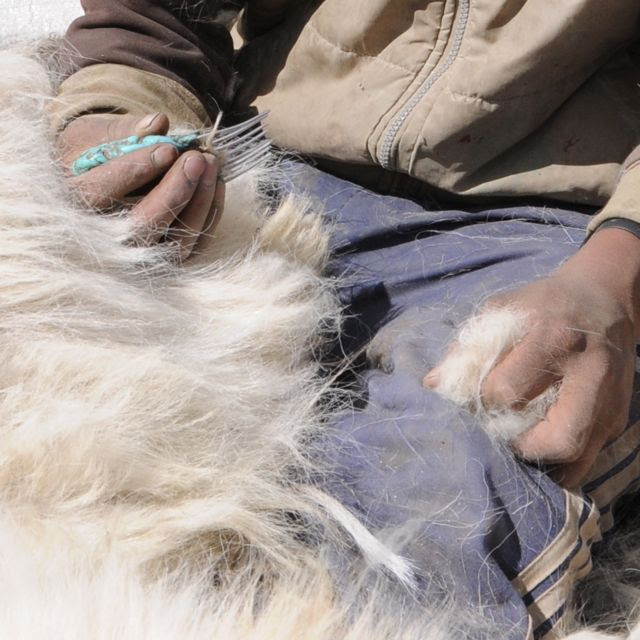 To protect their financial success, the price for their furs was set by the Indian State at 3700 rupees for 2 kg. 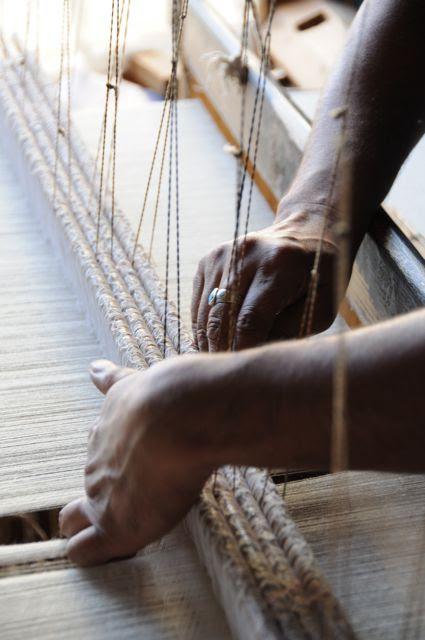 The fibers are washed and sorted, then the "pashm" fleece is routed to Srinagar in Kashmir valley, the only region in the world to master the delicate art of weaving. 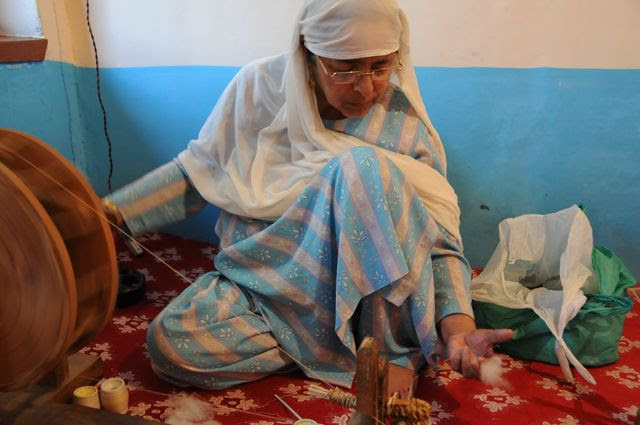 For centuries, the region of Kashmir has acquired unparalleled expertise in weaving pashmina. However, due to political instability, the disorganized productions and sometimes-questionable business practices, this region has been loosing its supremacy compared to the production by their neighbour Nepal. Although Nepal does not possess the same knowledge, it is a more stable and reliable economic partner for importing countries. Down is first spun by hand using a spinning wheel, it is very delicate work and traditionally done by women. The resulting yarn is then hand woven on traditional wooden looms using ancestral techniques. One of the most popular woven patterns, and for making the finest shawls, is bird's eye (Bulbul) or the diamond pattern. The wool used is naturally of a brown or cream colour, which allows for simple dyeing. The shawl is then dyed and can be embroidered. This is long, meticulous and almost mystical work, done exclusively by men that work at a very fast pace. A shawl can also be woven in different colours, with patterned stripes, squares or arabesques directly inserted into the frame. 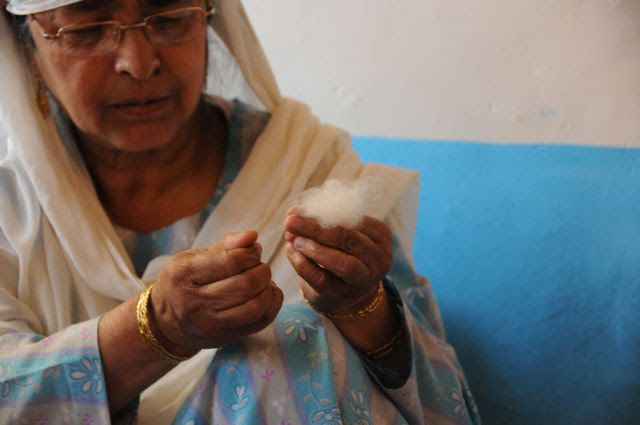 The main difficulty lies in the fact that, unlike Kashmir, pashmina fiber has never been protected by a brand. 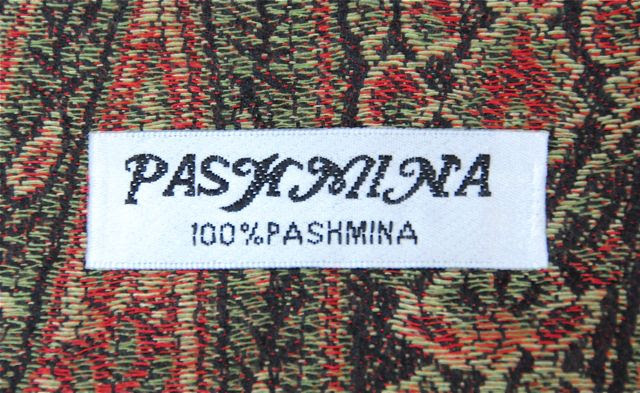 Bought by a Chinese company, the brand PASHMINA uses labels that do not indicate the composition of the material. From a legal standpoint, the pashmina is not recognised material. The name 100% Pashmina on labels masks synthetic fibers such as viscose fabric or polyester. However, with a rich tradition and a quality reputation that is centuries old, the term “pashmina” in the minds of consumers leaves a lot of confusion which unscrupulous traders can easily take advantage of. An authentic hand-woven Pashmina in pure Himalayan cashmere will be soft, light, crease-resistant and immediately warm to wear. He will present in his weaving slight irregularities guaranteeing its manufacture on a manual loom. It will have been made in Kashmir exclusively, a region stretching from northern India to Pakistan. 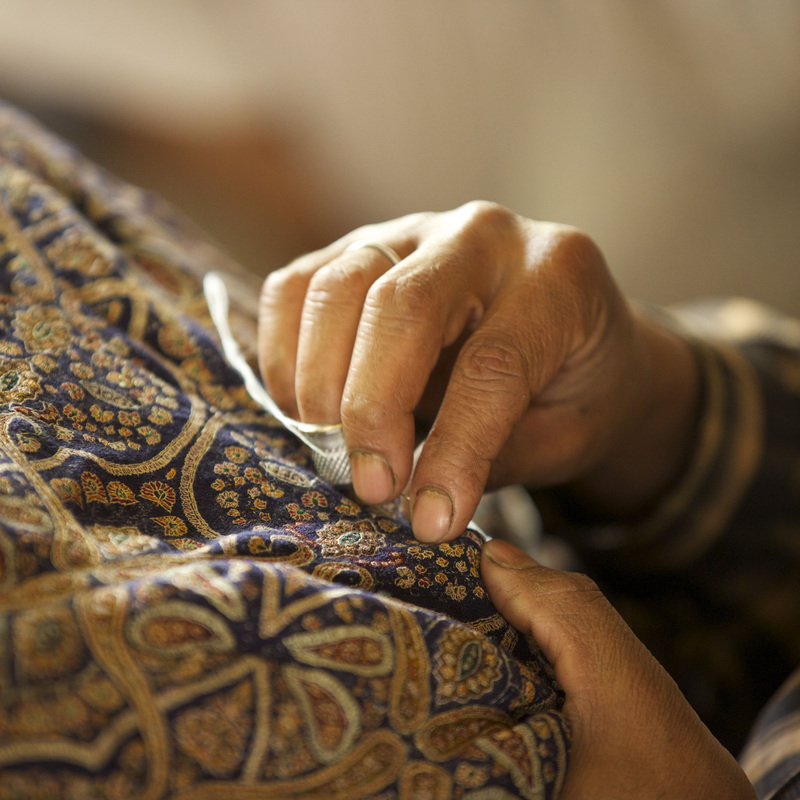 No real pashmina is woven in Nepal. Finally it will have to be labeled 100% cashmere and will NEVER be cheap. To avoid unpleasant surprises, it is necessary to be very vigilant!